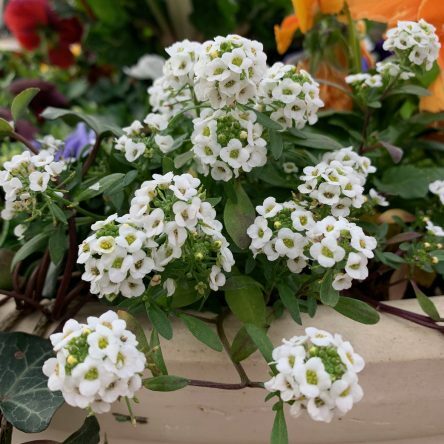 This flowering plant is most often identified by its sweet fragrance and dense clusters of tiny snow-white flowers that bloom continuously throughout the growing season. 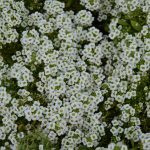 Alyssum is a great flower for Texas. 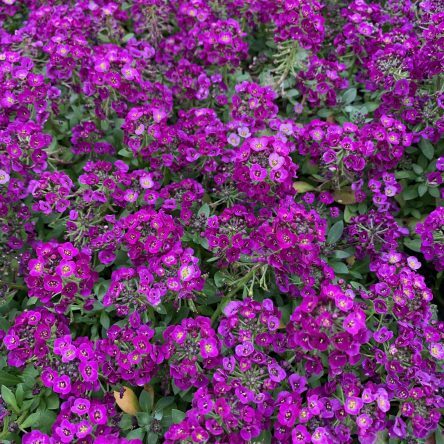 It comes in a variety of colors and is supposed to be an annual. 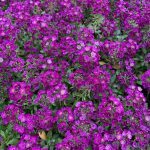 However, once it is established, it will reseed and come back year after year. 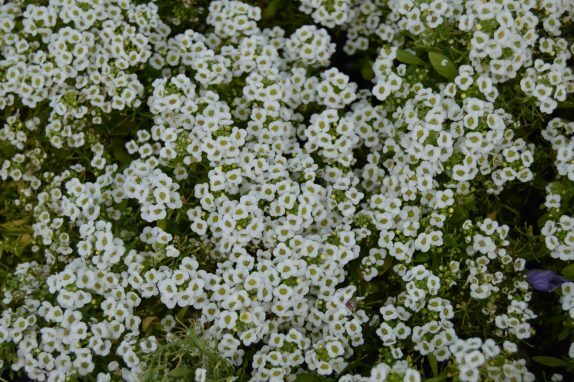 Alyssum smells great too. Water it when it wilts; this is not a particularly drought tolerant plant. Plant it in full sun or let it have a little afternoon shade. 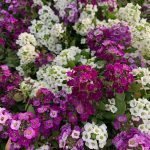 Alyssum can take some cooler weather also. 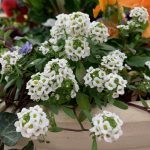 Replant it in the fall and you may have it all winter. It is at its best in the Springtime.